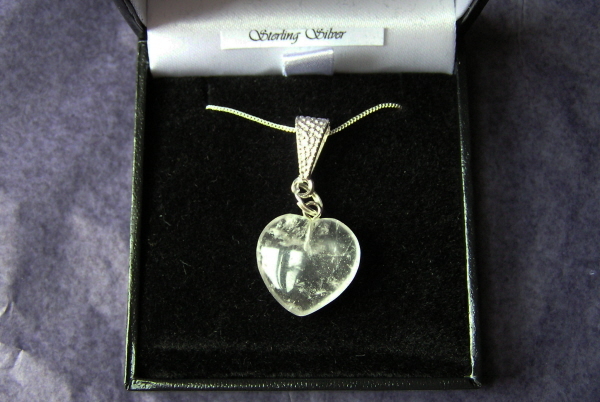 It is crafted from a gorgeous little polished Quartz Heart pendant strung from an 18 inch solid silver curb chain. ALMOST clear - but with tiny flecks and cracks within the crystal, it is a really pretty gemstone! You won't receive this exact necklace, but one that is very similar in appearance and identical in size.